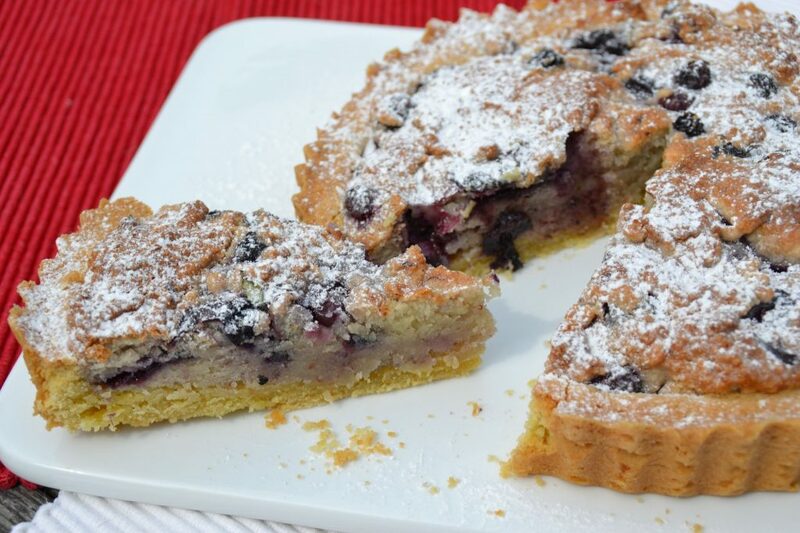 New Holland declared this extremely tasty blackcurrant and almond tart its 2016 favourite ! Bake your tart case for 12 minutes till dry to the touch and biscuit coloured. Remove the tart case from the oven and lower the temperature to 170C/gas mark 3-4. Mix together the ground almonds, icing sugar and flour. In a clean bowl, beat the egg whites till almost stiff, then fold the whites into the almond and sugar mixture with a metal spoon. Stir in the blackcurrants without overmixing and pour into your pastry case. Place your tart onto the middle shelf of the oven and bake for 50 minutes (check at 40 minutes to make sure that it isn’t burning at the edges, if it is, cover with foil for the last 10 minutes). When the filling is pale gold and lightly firm to the touch, remove and set aside to cool. Dust with icing sugar and serve warm with cream or crème fraiche.